Expanding productivity even further, the Canon ScanFront 220/220P scanners are in a new class of their own in terms of scanning innovation and workflow efficiency. These sleek, extremely compact stand-alone devices can plug right into your office network to deliver direct network scanning and sending. The ScanFront 220/220P scanners offer state-of-the-art imaging technology and a user-friendly interface with full touch-screen convenience. 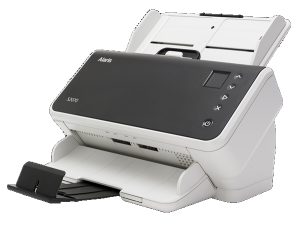 The ScanFront 220/220P color duplex network scanners offer fast, high-quality scanning of up to 26 letter-sized pages per minute (35 ipm). 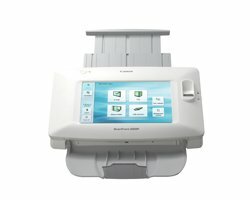 * Using the large 8.5-inch color touch-screen, you can scan directly to e-mail, FTP, shared folders, and USB memory. You can choose from personal and shared address books and customized Job Buttons. Boasting robust security features, these scanners can be managed remotely via Web menu. 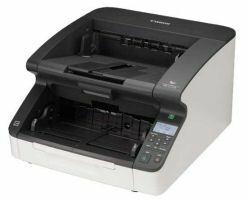 The ScanFront 220/220P scanners are extremely easy to use. With an intuitive GUI (Graphic User Interface) on their touch-panel display, users will find navigating scan and send options easy. The large, easy-view 8.5-inch display allows users to preview scanned images with high quality and in color for proofing prior to sending. * ScanFront 220P model only. All scanning destinations, such as e-mail and FTP server addresses and networked shared folders, can be stored within the ScanFront 220/220P devices. Users can set up their own private address books or use the shared or LDAP address books. * Multiple addresses, even of different destination types, can be grouped together as a single entry for easy sending. The ScanFront 220/220P models can be set to leave a detailed log file of all scanner activity, allowing administrators to monitor outgoing transmissions. After a document is scanned and sent, the secure memory wipe function automatically clears all document data from the scanner. On-screen Job Buttons offer one-touch access to frequently performed scanning tasks. Users can set up their own individual “My Job Buttons” or use the Shared Job Buttons. The appropriate scanner settings and send-to addresses are registered, in advance, to a Job Button that can be named and color-coded as desired. Scanned images can be encrypted and saved as password protected PDF files to protect valuable data. The ScanFront 220P model is equipped with fingerprint authentication for convenient, instantaneous log-in. Instead of the standard log-in method, users simply sweep their finger over the sensor to verify their identity. This automatically logs them into their personal home screen. Featuring advanced CMOS contact image sensor technology and top scanning speeds of up to 26 pages per minute (35 ipm),** the high-speed ScanFront 220/220P devices capture high-quality color, grayscale, and black-and-white images in diverse formats such as searchable PDF. 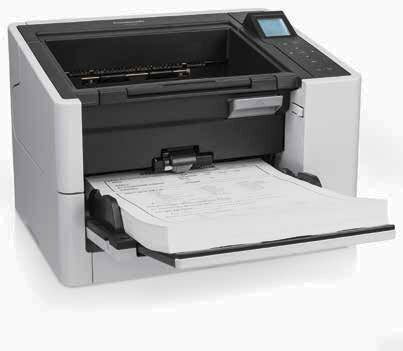 Canon’s reliable page separation mechanism with straight-path paper-feeding ensures smooth scanning of a wide variety of document types, including thick documents, mixed batches, drivers’ licenses, and embossed cards. The ScanFront 220/220P models allow network administrators to remotely connect to the scanners via Web browser and centrally manage scanner settings, user accounts, and more. Individual users can also log-in to the system from their own PCs to manage their address books and create Job Buttons, depending on their level of access.